The Slovene Matej Mohorič is among the greatest promises of contemporary cycling. A boy with a sharp mind, he was born in 1994 and in his career he has already won the World Junior 2012 championship title, as well as the Under 23 in 2013. 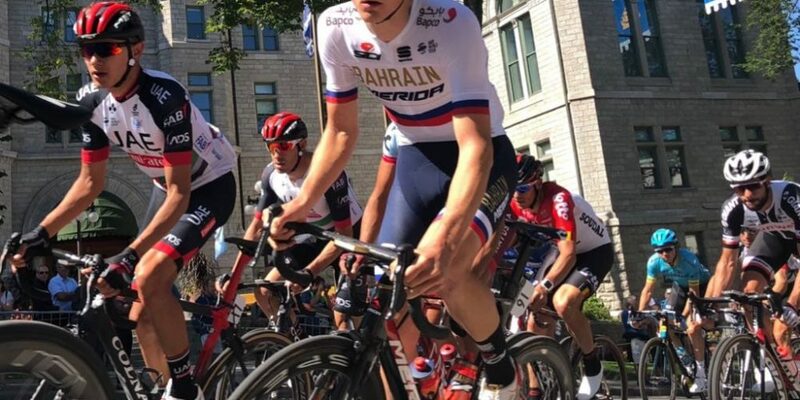 He is currently being a member of the Bahrain Merida Team, of which Sport Plus Health is partner. We are just back from the World Championship in Innsbruck, where we witnessed to the explosion of the Belgian talent, Remco Envenepoel. Therefore, no one better than Matej can explain to us which path a young sports promise is supposed to choose when they consider undertaking professionalism. However, the Slovene shares his thoughts on the approach a young man needs in order to not lose his way in the world of professionalism. “First of all, a young man has to believe in his own means. The work pays always back and because of it, he must keep working hard, just like he did in the junior categories. If a person keeps cycling, training well, eating well and having some rest, sooner or later they are going to be competitive even among professionals”. During your path of growth, have you found reference figures that have helped you to grow? “To the present, I have worked with many people who helped me. Already before moving to professionals, for example, I have been with my Slovene Sports Director for eight years. Are there differences among the talents, regarding the stage and one-day races? How did you deal with this phase of growth? What makes you relax, Mathej? It is a demanding profession, but it gives you important satisfactions. What advice would you give to a young man who makes it and loses his securities?